Surrounded by oyster happy hours, crawfish boils and shrimp po-boys in every sizeable Louisiana town, it’s easy to forget that out-of-state visitors come here specifically seeking out the state’s indigenous cuisines and abundant seafood. 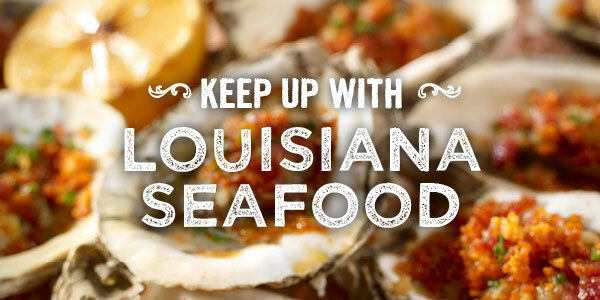 What outsiders consider delicacies, we just call “dinner.” And considering that nearly a third of the domestic seafood consumed in the United States comes from Louisiana, it’s hard to get around one fact: when it comes to fish, we’re pretty darn spoiled. Another Baton Rouge chef is about to hit the small screen. Chef Gino Sclafani, of popular Baton Rouge eatery Ruffino’s, will be featured on the FYI Network’s Food Factory show next Thursday, March 31, at 11 a.m., according to a news release.